2. yesterday evening; last evening. 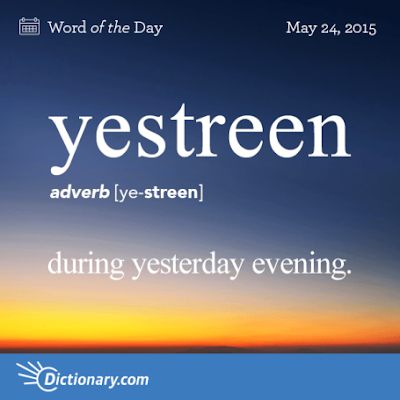 Yestreen entered English in the 1400s. 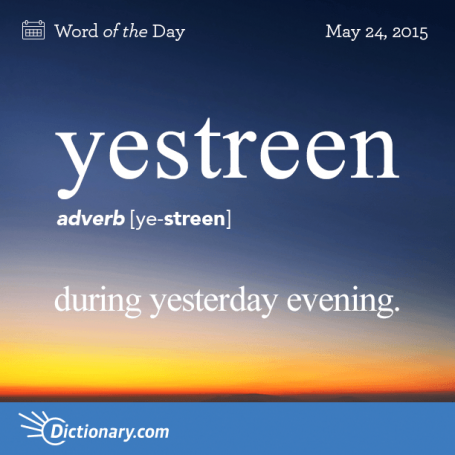 Its first element, yester, is a cognate with the German term gerstern, and is akin to the Latin hesternus meaning "of yesterday."